The UNEP Major Group of Children & Youth is a platform open for all young people around the world who want to engage in policy-design at the United Nations Environment Programme (UNEP). The UNEP Major Group of Children & Youth keeps young people informed throughout the year about opportunities to engage in policy-design at UNEP, and strives to ensure active and effective youth participation in UNEP conferences. The most important annual events are the UNEP Governing Council/Global Ministerial Environment Forum (GC/GMEF) in February, preceded by a Global Major Groups and Stakeholders Forum (GMGSF) and six Regional Consultation Meetings (RCMs). 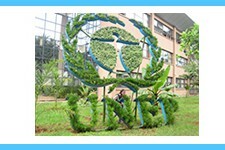 The non-governmental organizations that are accredited with UNEP and listed as belonging to the Major Group of Children & Youth elect the two Global Coordinators, who are part of the UNEP Major Groups Facilitating Committee (MGFC) and in frequent contact with the other eight Major Groups and with the UNEP Major Groups and Stakeholders Branch in Nairobi. Young people can participate online in discussions via a number of google groups which can be seen here: https://www.facebook.com/unepmgcy/info.